Caregivers and Friends and family are more able to engage in shared communication. Using HiSpeak, the patient can feel less isolated, and treatment responds accordingly. For example, Muscular Dystrophy Disease (ALS) and an associated loss of respiratory strength. Josh had Muscular Dystrophy disease which progressively reduced his control of the muscles associated with breathing. 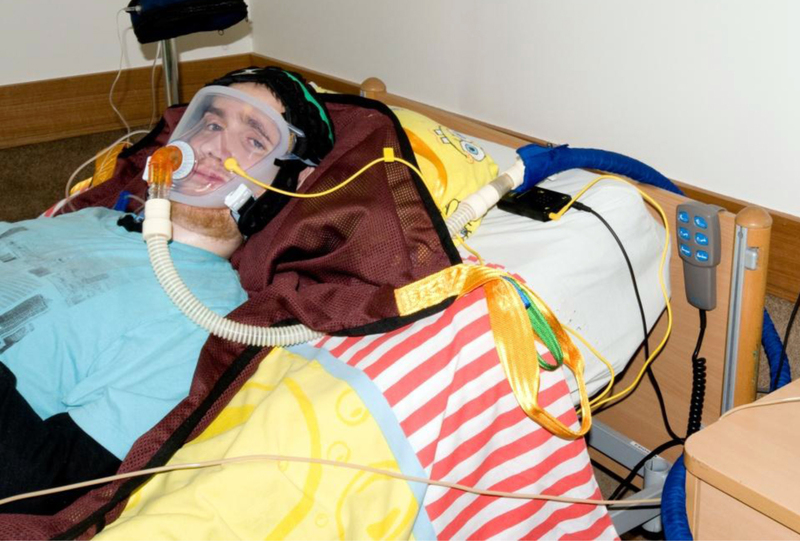 He required 24/7 breathing support in the form of Continuous Positive Airway Pressure (CPAP). 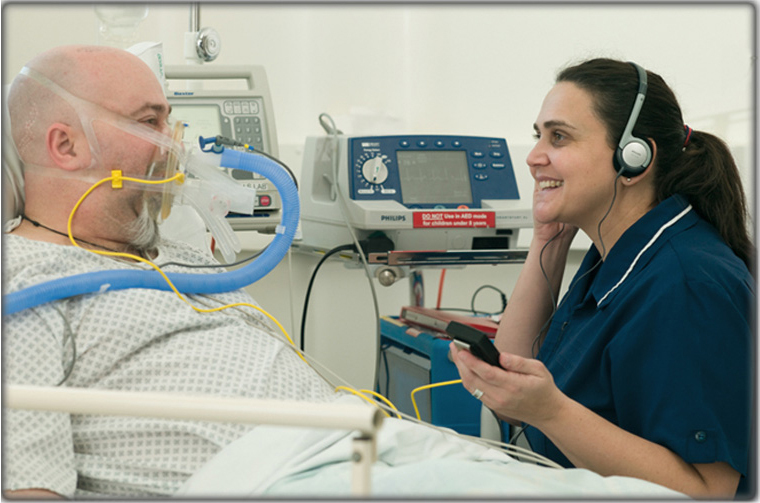 The CPAP equipment is produced by Resmed Australia. Josh wanted us to use his story and this image, saying he hoped that by sharing his experience, that others would benefit. Click on the image for information about loudspeakers.